WITH ALL the attention being given to the run-up to the 1916 Rising, the event itself, and its aftermath, little if anything has been written in relation to the Land War, which took place some 35 years before Pearse stood in the steps of the GPO and read the Proclamation. From 1879 to 1882 this region was virtually besieged by the police and army as they attempted to quell the rising tide of agrarian discontent. Finnegan’s book is informative and enlightening. His research is meticulous and detailed, his approach to the subject painstaking and clinical. From the beginning we are made aware of just how much the area was a hot spot of agrarian outrage, Finnegan telling us that between May 1881 and June 1882 eight people were killed in the police districts of Loughrea/Athenry - a landlord and his bodyguard, a land agent and his servant, a policeman and three men whose deaths were related to land disputes. After a general introduction to the foundation of the Land League, we are told how it was formed in Galway and that tactics that were used to further the tenants’ cause such as ‘Stopping the Hunt’ and the curious ‘Land League Hunts’. Then gradually as the struggle for land rights intensifies and the authorities react strongly, the situation becomes more fraught and tense. Arrests and imprisonment without trial occur daily, while evictions are resisted more strenuously and the boycott a frequent and sometimes successful weapon used against “landgrabbers” and those tenants who in any way transgressed the Land League’s rules. As we move through the story, the multiple arrests (11 per cent of the national total were made in the area ); the introduction of the portable police huts which could be moved and set up at will; the introduction of armed soldiers and the appointment of Special Resident Magistrates who implemented the Coercion Acts (especially the most notorious of these, Clifford Lloyd ), all add to the tension and the sense of siege that prevailed in the area over the three years. The book is imbued with a sense of darkness and fear, not to mention uncertainty. These were indeed dark and evil days but perhaps the book’s greatest achievement is Finnegan’s depiction of the strong resilience of the people themselves who, despite the huge forces amassed against them - at one stage there were 16 portable police huts stationed around Loughrea and the streets were continuously patrolled by armed police and army – the continuous arrests and imprisonment, the extra costs they had to suffer as the expenses of the extra police were levied against them, managed to achieve at least some of their goals and maintain their human dignity. It was a resilience that was to serve them well during the ensuing Plan of Campaign. 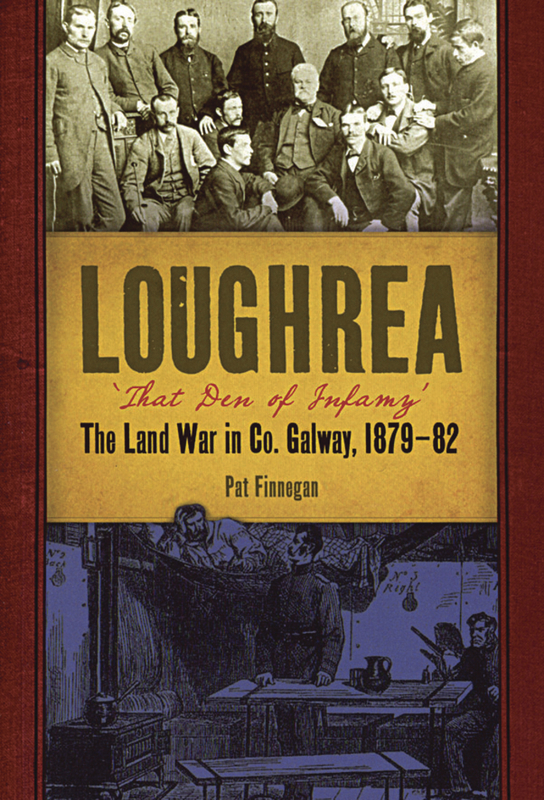 Loughrea ‘That Den of Infamy’ is an important book in that it brings to light one of the most extraordinary chapters in Galway’s, indeed in Ireland’s, struggle against oppressive landlordism.